The end of the year is a time at which to look back and reflect on the year’s events in a sober manner. Or do something silly. Being of a sober reflective nature, I have decided to do something silly. This list of songs is a personal collection, and no doubt other people would come up with different lists. I would be delighted to hear other people’s choices, but this list is mine. The music is almost entirely from the period running from the late 1960s to the early 1980s. At first I thought this was a sign of my age, but on sober reflection (I said I was of a sober and reflective nature) I realised this was not just the period during which my musical tastes were formed, but the period that lasted from the Apollo Moon Landings, which boosted a sense of optimism and an interest in space and science fiction around the world, to the rise of Reaganite and Thatcherite political philosophies that downplayed the ability of the state to carry out projects on this scale, and left people less optimistic and less inclined to look to the stars. 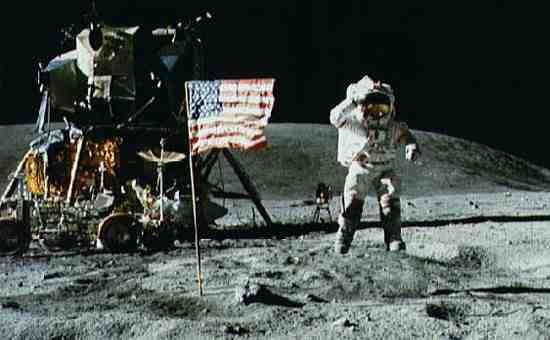 The Apollo 11 Moon Landing, 1969. Since it is not the purpose of this piece to dwell on the politics of the period, I won’t. But regardless of the political scene, science fiction has undergone a resurgence in recent years, largely fuelled by improvements in computer animation which have made it possible to tell stories on the big (and small) screens that would not have been possible before. 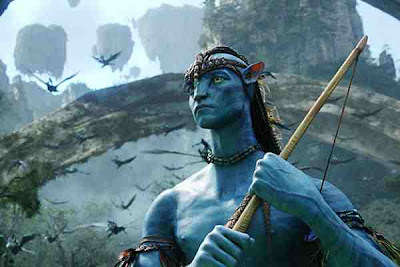 Jame's Cameron's Avatar tells the tale of a people beset by incomprehensibly powerful alien invaders intent on plundering their land. This is essentially the same story as HG Wells' War of the Worlds itself based upon Wells' observation of West African peoples unable to resist European invaders. Wells made his story palatable for Western audiences by relocating the story to London and making the invaders scarily alien. Cameron, slightly over a hundred years later, was able to make his vicitms, the naavi, as alien as he liked, but his invaders were horrifyingly familiar as western capitalists. The best of these new science fiction stories have returned to the roots of science fiction, and used the genre as an allegory to make points that might not be possible otherwise. 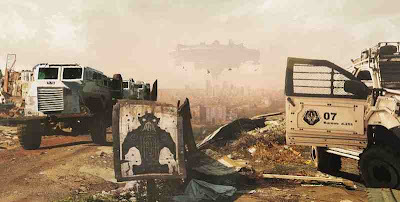 Films such as James Cameron’s Avatar and Neill Blomkamp’s District 9 are essentially about the mistreatment of one culture by another, and are instantly recognisable as the descendants of the tales of HG Wells and Joules Verne, who used the genre to reflect the ills of European imperialism in the late nineteenth century. Neill Blomkamp's District 9 tells the story of the inhabitants of an alien ship unlucky enough to crash land in Johannesburg, South Africa. They are soon separated form their ship and trapped in townships, while the ship itself is plundered for (technological) resources. We can only hope that the revival of interest in science fiction will also lead to a revival of the sense of optimism that science can instil – and that songwriters join in. So, in the hope of a more optimistic future, here are my personal all time top 20 science fiction songs. Happy New Year. 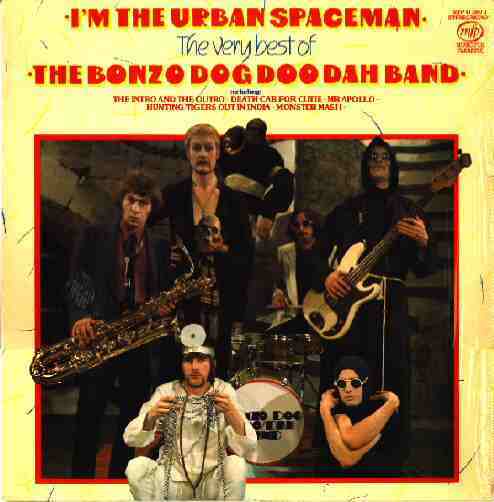 20) The Bonzo Dog Doo Dah Band, Urban Spaceman, 1968. The Bonzo Dog Doo Dah Band originated in 1962 and are widely regarded as being Niel Innes’s creation, although he was not a member of the original line up. The band were noted for their comedy stile, but enjoyed little commercial success. The Urban Spaceman, released in the run up to the Appollo Moon Landing, was the band’s only hit single, reaching No 5 in the UK charts and winning an Ivor Novello award for songwriting. 19) Mettalica, Call of Ktulu, 1984. Mettalica formed in 1981 and are regarded as one of the original four thrash metal bands. 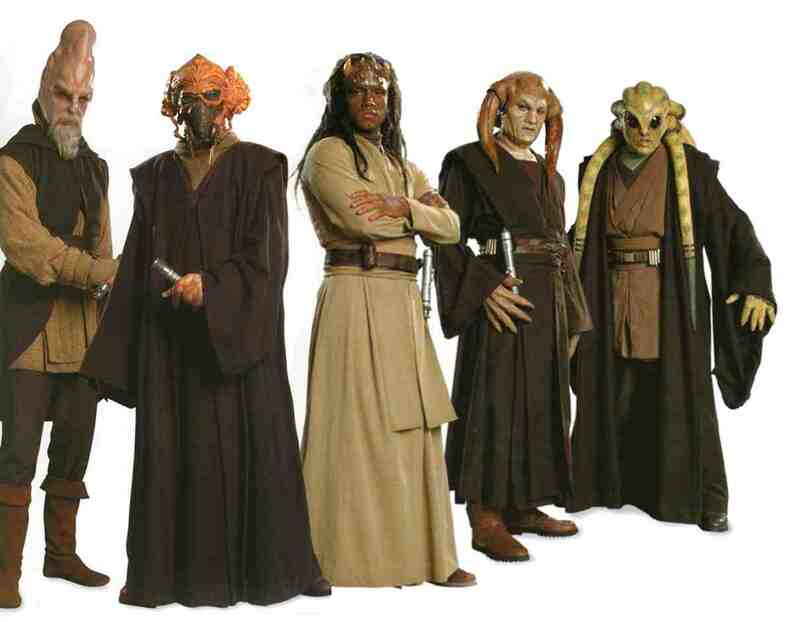 They were influenced by earlier heavy metal bands and used horror, fantasy and science fiction themes in their music. 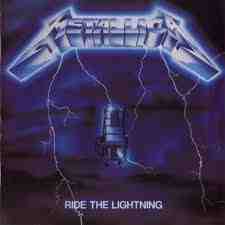 The track 1984 Call of Ktulu from the album Ride the Lightning is named in homage to the HP Lovecraft story Call of Cthulhu, however the track is an instrumental and has no direct connection to the tale. 18) Yes, Starship Trooper, 1971. 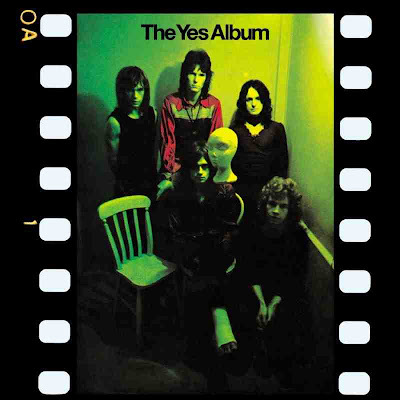 Yes formed in 1968, one of the founding bands of the progressive rock movement. The band originally performed cover versions of other people’s material, albeit with their own twist. In 1971 they produced The Yes Album their first LP comprised entirely of original compositions including the track Starship Trooper. The track is highly experimental and was never released as a single, at least in part because it was to long. 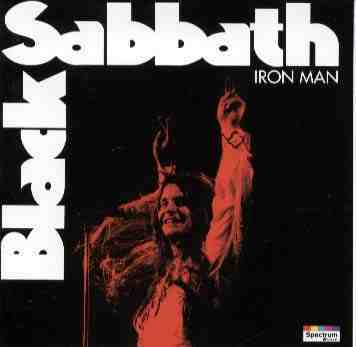 17) Black Sabbath, Iron Man, 1970. Black Sabbath formed in Birmingham, UK in 1968, and were most noted for the use of occult material in their material. Iron Man, appeared on their second album Paranoid (1970) and was released as a single in 1971. The song was not originally about the Marvel Commics character of the same name, telling instead a tale of revenge by a supervillain (Black Sabbath didn’t really do heros). 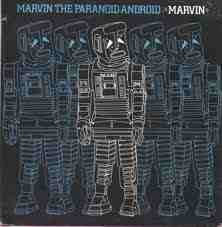 However the song was too good to be ignored & was recyled for the release of the 2008 movie Ironman. 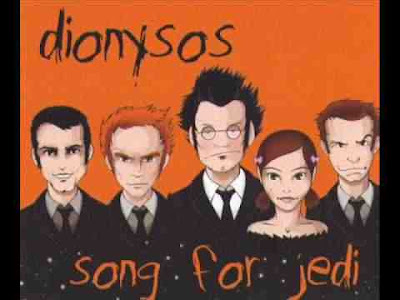 16) Dionysos, Song for a Jedi, 2002. Dionysos are a French rock band formed in 1993. The band often experiment with science fiction and fantasy ideas. This comes from the 2002 album Western sous la neige. 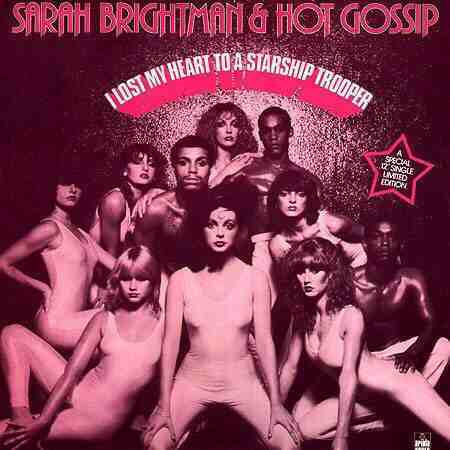 15) Hot Gossip, I Lost My Heart to a Starship Trooper, 1978. Hot Gossip were originally a dance group, formed in 1974 they were most noted as a feature on the Kenny Everett Television Show. I Lost My Heart to a Starship Trooper was released in 1978, in the Science Fiction boom that followed the release of the movie Star Wars. It was their only hit, reaching No 6 in the UK singles chart. 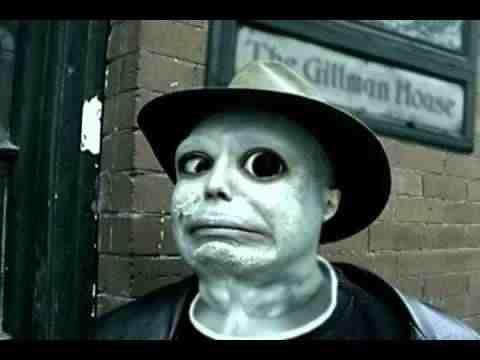 14) The HP Lovecraft Historical Society Players, It’s Beginning to Look a Lot Like Fishmen, 2007. The HP Lovecraft Historical Society is a fan association dedicated to the works of HP Lovecraft. Amongst other activities they occasionally sing songs based upon the works of HP Lovecraft. This particular tune is an adaptation of the HP Lovecraft short story, The Shadow Over Innsmouth, set to the tune of It’s Beginning to Look a Lot Like Christmas. To the best of my knowledge this has never been released commercially, but a video made for the song by special effects guru George Hakkor in 2009 became a YouTube hit. 13) Stephen Moore, Marvin The Metal Man, 1981. 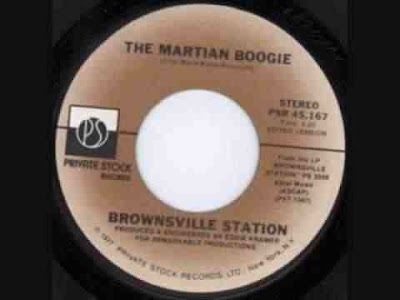 12) The Brownsville Station, Martian Boogie, 1977. The Brownsville Station were a Michigan based rock band formed in 1969, they had a number of hits, but unfortunately this one never caught on. 11) Rob Stangroom, The Jedi Song, 2005. A lot of songs have been written about the Star Wars series, but this one stands out. Stangroom wrote this when part of a student band, and apparently now has a full time job and no longer performs. This is unfortunate for music lovers. The song is available for download on MP3 ona number of sights. 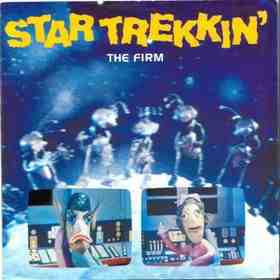 10) The Firm, Star Trekkin’, 1987. The Firm were formed by Songwriter John O’Conner and released a number of comedy songs in the 1980s. This song was described as frantic and childish, but it’s imaginative approach caught the public imagination and the song spent two weeks at No 1 in the UK and reached No 3 in Australia. The song was also popular in Europe and Japan, but failed to do well in the US. 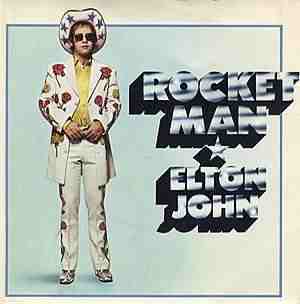 9) Elton John, Rocket Man, 1972. From the Album Honky Château, which was Elton John’s first US No 1, the song reached No 2 in the UK and No 6 in the US, and was apparently inspired by songwriter Bernie Taupin’s sighting of a shooting star. 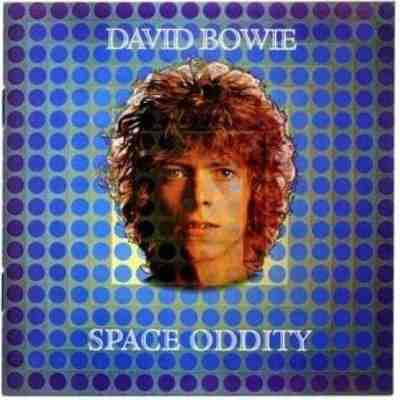 The song is often compared to Bowie’s Space Oddisy and clearly reflects the popularity of space themed music at the time. 8) Eben Brooks, Hey There Cthulhu, 2009. Eben Brooks are an unsigned band, based in San Diego, California. They claim to be uninterested in fame, and to be performing for the San Diego foodbank. Whatever the story they ought to be signed by someone. 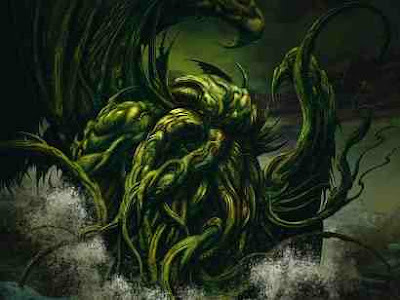 The song is based upon HP Lovecraft’s 1926 short story, The Call of Cthulhu. This is not always recognised as a science fiction story - it tells the tale of a god-like alien of immense power sleeping in a sunken city beneath the Pacific Ocean. At the time of writing the theory of plate tectonics was not widely recognised (or even heard of) and the migration of species between continents, recognised from the fossil record, was explained by the ‘land bridge theory’. This took the presence of marine fossils on land as evidence that whole continents rose and sank beneath the waves. Thus Lovecraft’s tale reflects the widespread scientific understanding of his time. 7) Justin Haywood, Forever Autumn, 1978. 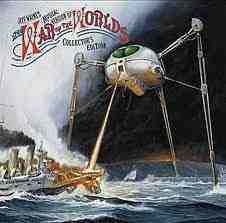 Taken from Jeff Wayne’s War of the Worlds, a musical adaptation of HG Wells’ (1898) novel of the same name. The song reached No5 in the single’s chart, and is not overtly science fiction in nature. The haunting melodies reflect Wells’ descriptions of refugees fleeing from an enemy they can neither fight nor understand, and reflect Wells’ experiences in West Africa. 6) David Bowie, Space Oddity, 1969. Released in July 1969 to coincide with the Apollo 11 lunar landing, and used by the BBC in its coverage of the landing. It reached No 5 in the UK single chart, but only No 124 in the US chart. It also won a Ivor Novello Award for song writing. The song launched Bowies’ career which included a number of other science fiction related tracks, several of which also featured Major Tom. 5) Hawkwind, Spirit of the Age, 1977. 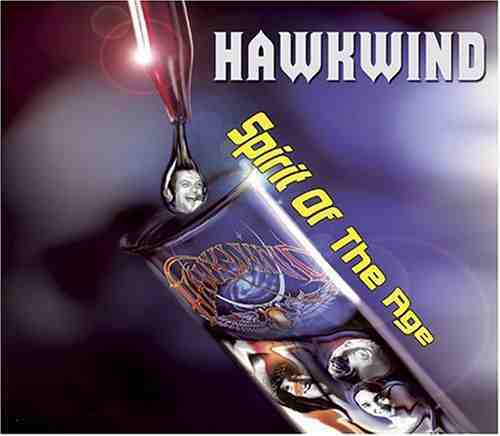 Hawkwind formed in 1969 as the first (and realistically only) space rock band – basically a rock band with a science fiction theme. Thus just about everything they ever produced would qualify, but this 1977 track is particularly notable, as the band had lost a number of original members and turned more strongly towards the science fiction genre. Flash Gordon first appeared as a comic strip in 1934, and went on to star in three film mini-series in 1936, 1938 & 1940. 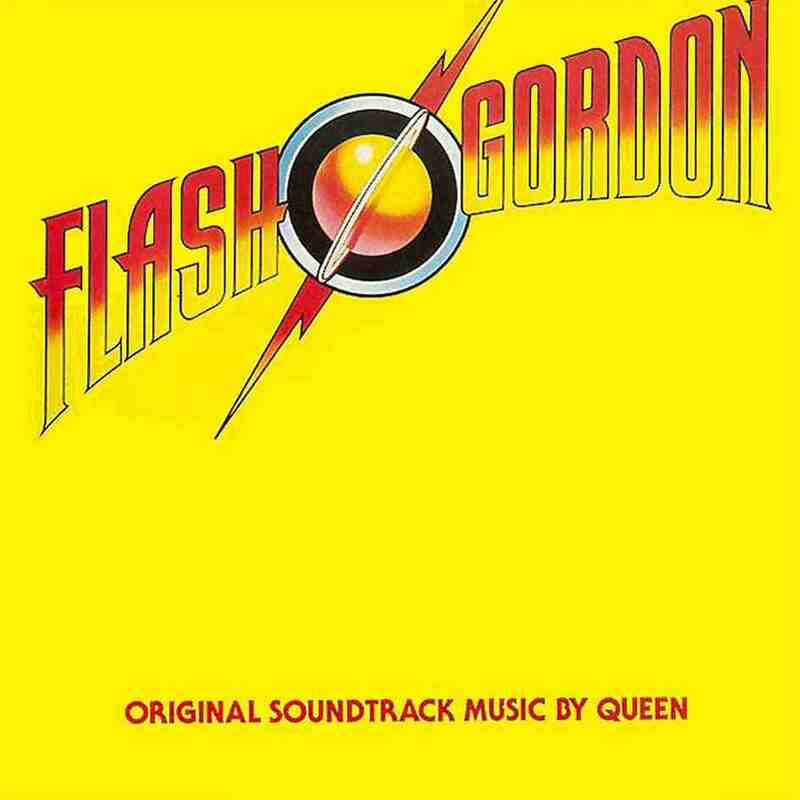 This track by Queen was the title music to the 1980 movie. 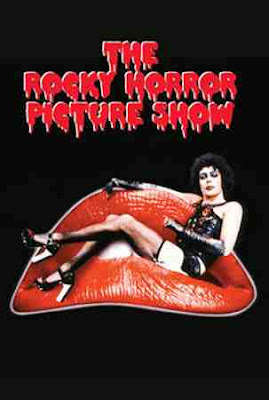 3) The Rocky Horror Picture Show, Science Fiction, 1973. Originally a stage show in 1973, then a movie in 1975. The stage show was considered highly controversial at the time, as it depicted elements of gay and transgender culture that were shocking to 70s audiences. Still in limited release 35 years later, making it the longest running theatrical movie release in history. 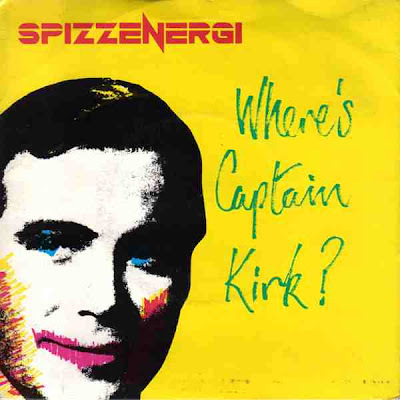 2) Spizzenergi, Where’s Captain Kirk?, 1980. Spizzenrgi officially formed in 1979, though the band had been slowly assembling for the previous two years, as members of the final line-up joined the band and it changed its name. Released in 1980, Where’s Captain Kirk? Was an overnight success, reaching No 1 in the first ever UK Indie chart. Sadly they were unable to repeat this and produced no other hits of note. 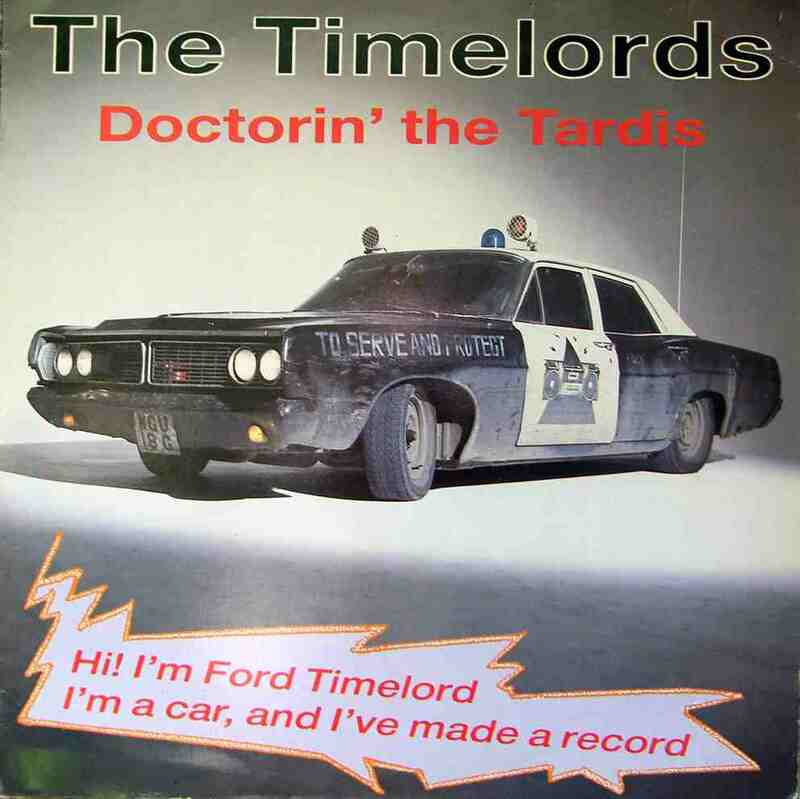 1) The KLF, Doctorin’ the Tardis 1988. The KLF formed in the UK1987, apart of the Acid House movement. There music was influenced by Hip Hop and relied heavily on sampling. 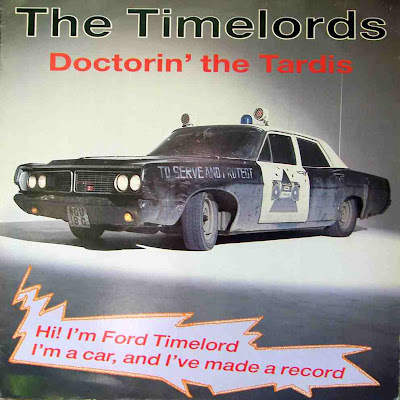 Doctorin’ the Tardis was released under the name The Timelords and was assembled from samples taken from the Doctor Who Theme, The Sweet’s Blockbuster and Gary Glitter’s Rock’N’Roll (Part 2). It reached No 1 in the UK single’s chart. This is probably the best tune ever to come out of a British attempt to perform Hip Hop, although it fails quite badly on the 'actually resembling Hip Hop' part of the remit. This is worth noting: British people are better at Science Fiction than Hip Hop. Any aspiring British Hip Hop artists would be well advised to bear this in mind.